LISTEN NOW! Greg, John and Pat discussed how allegedly negotiations are taking place with the President’s , Iranian born, adviser Valerie Jarret and Iran’s leading nuclear official all the while excluding Secretary John Kerry from these alleged secret talks as reported by the “Times of Israel.” This of course is taking place as talks resume in Geneva and Secretary Kerry telling Congress to ignore the Israelis. 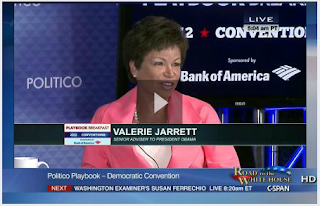 They continue to discuss the interview Valerie Jarret, senior adviser to President Obama, had with Politico that aired on C-Span as she recounts how she first met the President. Valerie explains that she was recruiting Michele Obama from the law firm to work in public service and Michele did not want to make that decision alone and invited her then fiancé Barak to meet Jarret. 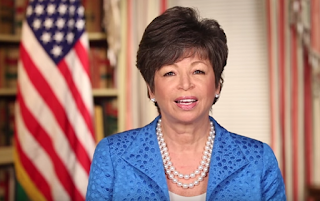 Valerie shares how she saw how the President listened to Michele and her. Why is this important? It is said that allegedly Valerie is the president’s most trusted adviser and he does not make major decisions without consulting with her, she was born in Iran, listed in TIME magazine’s 100 most influential in 2013 and now her alleged secret negotiations are with Iran are detrimental to the safety and well-being of Israel as the lone democratic nation in the Middle East. It is reported the White House denies these negotiations are taking place. As Christians we can pray for Valerie Jarrett, pray for the president, and also pray for Israel. We can stand for Israel. Obama Admin. Ignoring Allies on Iran Policy?